If your family is looking for something fun and enjoyable to do while on vacation in the Florida Panhandle look no further. 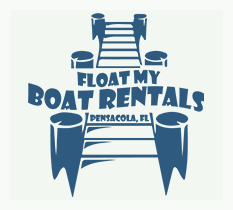 Float my Boat Rentals is Pensacola Beaches coolest pontoon boat rental company located conveniently right in the heart of Pensacola Beach. Pensacola Beach is an awesome spot to spend a day on the water. The sugar white sand is amazing and there’s plenty of low key beaches to take the pontoon boat where you and your family or friends can enjoy yourself, without the hustle and bustle you experience by driving your car to one of the local beaches. If you don’t mind being around a few other boats Fort McRae is definitely a popular hot spot. Fort McRee was a historic military fort constructed by the United States on the eastern tip of PerdidoKey to defend Pensacola and its important natural harbor. In the defense of Pensacola Bay, Fort McRee was accompanied by Fort Pickens, located across Pensacola Pass on Santa Rosa Island, and Fort Barrancas, located across Pensacola Bay on the grounds of what is now Naval Air Station Pensacola. Fort Pickens is another popular stop and you’ll find it within minutes of departing on your trip. It’s located on Pensacola Beach. Fort Pickens is a pentagonal historic United States military fort on Santa Rosa Island in the Pensacola, Florida, area. It is named after American Revolutionary War hero Andrew Pickens. The fort was completed in 1834 and remained in use until 1947. Fort Pickens is included within the Gulf Islands National Seashore, and as such, is administered by the National Park Service. If you’re twenty five years old or older you can rent one our boats, even if you’ve never driven a boat before, all it takes is a little paperwork and a quick demonstration and you’ll be on your way to having a fun day on the water. Pontoon boats are super easy to drive, so there is nothing to worry about. The boats cruise along about twenty five to thirty miles per hour depending on how many p, so plenty fast enough to get where you’re going, but not fast enough to get you into very much trouble. They all also come with a bottom machines and GPS chart plotter, so you can find your way home. A chart plotter is a practically a digital map, so you can see where you’re located and there will be a red star on the map to where you need to return to at the end of your adventure. Pensacola was recently ranked one of the top ten most beautiful beaches in the world by Trip Advisor and our emerald green water around Pensacola Pass is a site that everyone should get to see. The only problem is that unless you’re willing to walk a few miles through the sand the only way to can get to Pensacola Pass is by boat. Our insurance policy does not cover anyone taking our boats into the Gulf of Mexico, but we do allow our customers to take our boats to Pensacola Pass. This is the inlet that connects the Gulf of Mexico to Pensacola Bay.